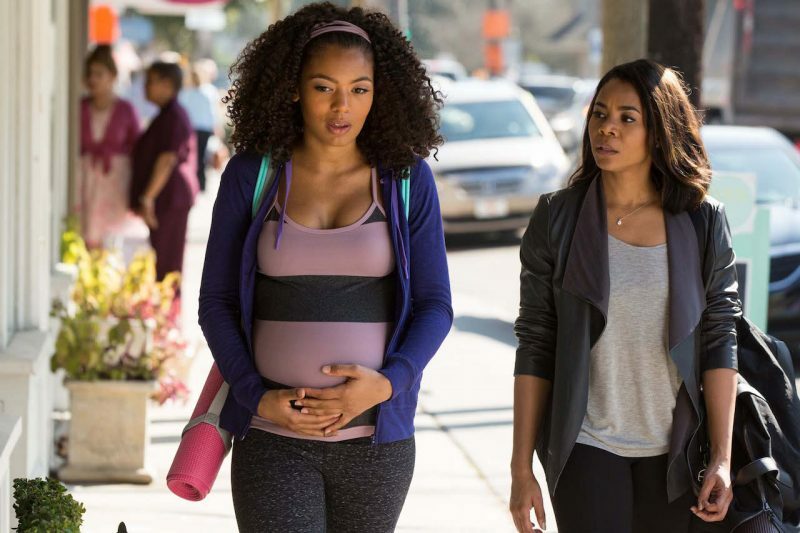 "When the Bough Breaks strives for trashiness, but results in boredom"
If you have watched any trailers or television ads for When the Bough Breaks, you can probably safely predict the entire plot with no issues. The only thing that would give you any trouble is the super convoluted third act, which feels like it was written about ten minutes before it was filmed. It’s pretty common for a film that the audience can predict at every turn will lead to a less than desirable ending, but it’s is rare that it makes no sense in context with the rest of the story. 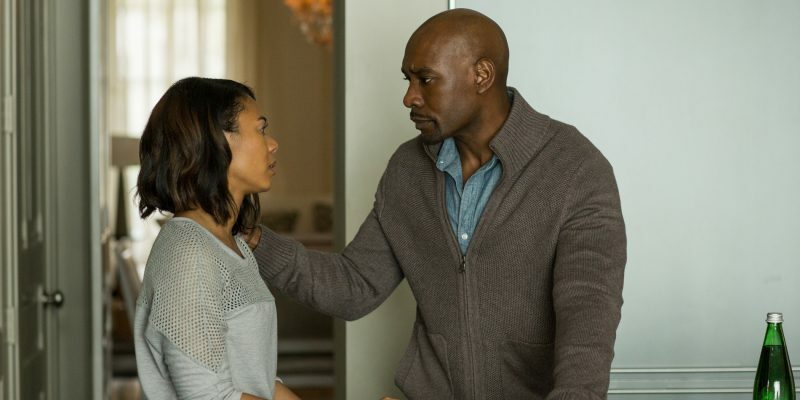 Morris Chestnut and Regina Hall star as John and Laura Taylor, an affluent couple who have trouble conceiving and are looking to start their family via a surrogate. They are now down to their last viable embryo, and they’re prayers have been answered in the form of Anna (Jaz Sinclair), a beautiful 21-year old cocktail waitress. During her interview, Anna does not stop smiling and desires to do nothing more than to give a loving couple their first child. Laura is so taken with Anna that she immediately breaks rules and starts a personal relationship with Anna, stopping by her job and inviting Anna and her boyfriend Mike (Theo Rossi) for dinner. After Mike and John step outside for a smoke, Mike does absolutely nothing to hide his sociopathic tendencies. Soon after, we learn that Anna is not as innocent as she seems either. You don’t pay money to see a movie like this expecting a cinematic masterpiece, you go in expecting some over the top acting, unrealistic plot twists, and most importantly, just expecting to be entertained. And it is…kind of. At least in part of the last act. The first two acts are slow and lack tension. And for John and Laura, both well educated professionals, John in particular a defense lawyer, continuously ignore constant red flags and allow Anna to stay in their home. In fact, if they made the smart decision, this movie would be over in about thirty minutes, which says a lot about how lazy the script is. Morris Chestnut is the hero is the film, literally and figuratively. He has been the lead of several films, his own television show, and his presence makes this film watchable. Regina Hall has always been a strong actor and does the best she can with the material that she is given. The character that gave me the most trouble was Anna. I just did not buy Jaz Sinclair as evil. Even when she was holding scissors and knives, getting ready to stab someone that sweet smile never left her face. Her character Anna goes through a pretty dramatic transformation from good girl to pure evil, but I never really felt any pain from her as a woman scorned and out claim what is hers. When the Bough Breaks contains some elements that could have made it trashy fun, but its’ not. There is nothing innovative or remotely outlandish about the scripts, and the villain basically pouts her way through a performance. Spend your money on something bad and entertaining instead of just bad.